Since 2009 we have shown over 650 films and presented dozens of awards. MANY of the films that we have showcased have gone on to receive international recognition. Click on the dates of our past festivals for film schedules, photos, and winners. 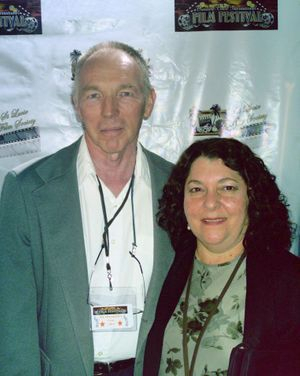 The 15 MINUTES OF FAME film festival was founded in 2009 by Ray and Migdalia Etheridge, who enjoy watching (and making) indie films. Ray worked in television as a full time cameraman/editor for over 30 years, working on everything from game shows to soap operas. In the past few years, Ray and Migdalia have produced over a dozen feature films and several shorts. This 2017 indie film festival is the 14th that they have produced.